Quality Notes: Due to the naturally occurring color variation of the molasses culture used to grow this yeast, some color variation may be present in the finished product. Dried yeast, niacin, pyridoxine hydrochloride, riboflavin (B2), thiamin hydrochloride (B1), folic acid, Vitamin B12. Due to the naturally occurring color variation of the molasses culture used to grow this yeast, some color variation may be present in the finished product. 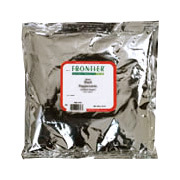 Nutritional Powder Yeast is shipped in a discrete, unmarked package. Orders are processed immediately and usually take about 3 to 5 working days to be received. We do ask that you try it for 2 to 3 weeks to feel the full effects. Any information received is used only for order processing and shipping purposes. Your information, such as e-mail address, will never be disclosed to a third party.